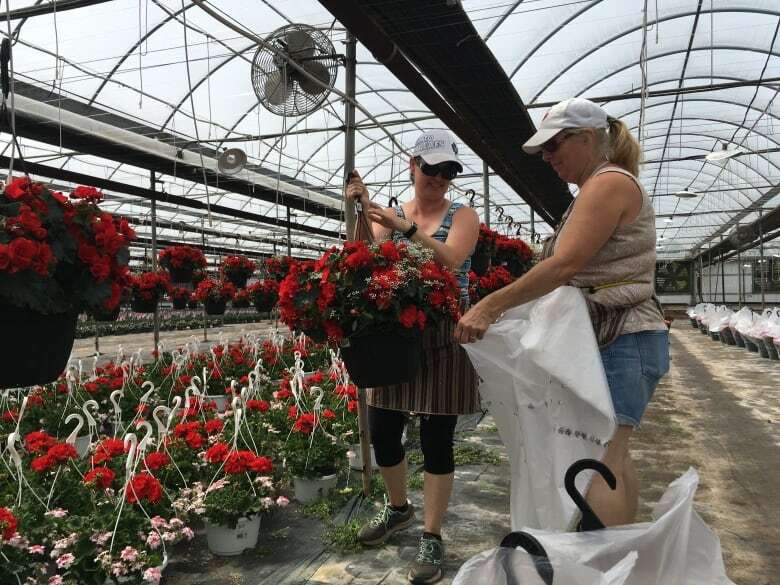 A lot of good jobs vanished when a potash mine suddenly closed in the Sussex area, but two years later, people who resolved to stay on in the limping town are seeing signs of a healthier economy. "Every day we need 100 to 110 customers, then you have a very good business," Fiehn said. "If you have 80 customers every day, that's also perfect. "But we have at the moment just 50 to 55, you know?" Fiehn and his wife, Linda, bought the property in Sussex Corner, outside Sussex, in August 2015. The closure left this south central area of New Brunswick in shock and uncertainty. And estimated 1,000 good jobs vanished as people in supporting industries joined mineworkers in the ranks of the unemployed. With the community still reeling, the Fiehns decided to press ahead with their new bakery anyway. In March 2016, they swung wide the doors to the Main Street bakery, which offers a seating area for coffee and light lunches. For a while, as people stopped to check the place out, things went well, but business has dropped off. Uwe and Linda travel weekends to out-of-town farmers markets, and it's those sales that often make the critical difference when it comes to paying bills and meeting the salaries of four staff. 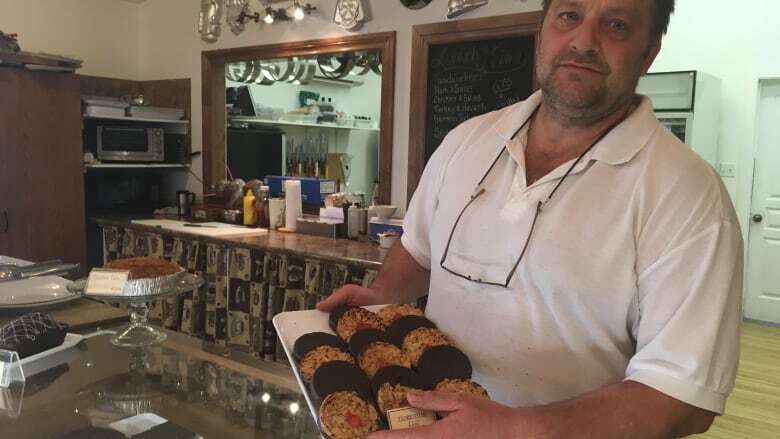 "We have a lot of customers, very nice customers who support us and also local small business, but not enough," Uwe said. "What we need here in Sussex is small families, young families with kids." That's a tall order in a part of Canada where nearly every community struggles with population decline. From the the start, municipal and business leaders were deeply worried when PotashCorp announced the closure. The jobs leaving town paid well. The miners made $80,000 to $120,000 a year. Some families left town to work at potash mines in Western Canada. Property assessments dropped, often by five or six per cent, and remain depressed today. The Chamber of Commerce called for a roundtable discussion. Representatives from all three levels of government were invited. "There was probably 50 or 60 people there," recalls business owner Blair Hyslop, who helped organize the meeting. 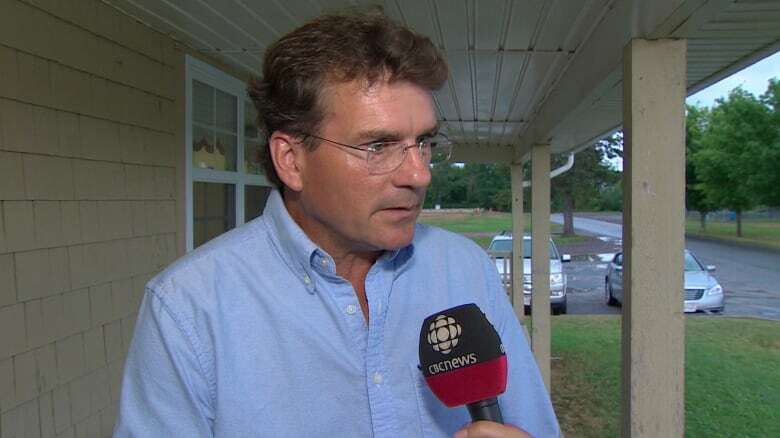 "I think the expectation was that the different levels of government would stand up and explain what they were going to do in light of the pending mine closure." Instead, the government representatives said the community would have to identify its own priorities to deal with the economic crisis, then apply for assistance. "There was an obvious awkwardness in the room," Hyslop said. "I think the expectation was that the government would fix this for us." The community went on to host five public sessions to come up with "grassroots" priorities for economic development. Governments stepped up, as promised, with money for studies, consultant reports and the hiring of an economic development officer. 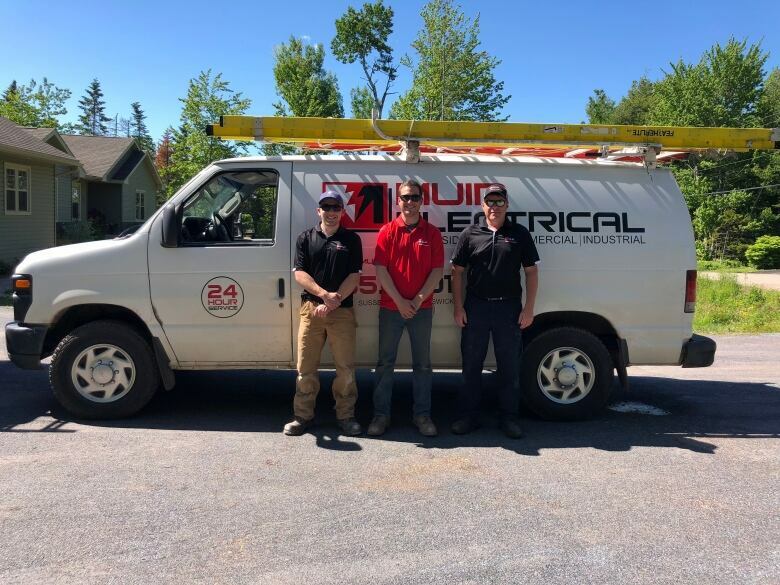 Apprentice electrician Brady Arsenault and electricians Colby McDermott and Jeremy Muir of Muir Electrical, which was established after the mine closure. (Submitted )More than 50 suggestions were boiled down to a handful. Getting most attention has been a proposal to convert an older, decommissioned potash mine that is slowly flooding with brine water into a source for geothermal energy that can be used to heat or cool industries willing to set up shop near the mine site. Creation of a biomass sector fuelled largely by waste from agriculture and forestry. Building on the community's already-established food production base. Branding the region as a choice destination for camping, fishing, hiking and other recreation. Jacklyn Tower and her partner, Jamie Muir, found their own way after thinking hard about leaving the area. "We talked about it a lot because that was our only option," Tower said. "If we wanted to stay together as a family we would have to pack up and move." Instead, Muir, an electrician, bought a van and within weeks was taking on jobs as an electrical contractor. The entire province is now his territory, and he's travelled to Bathurst in the north and St. Stephen in the southwest for work. "He fights tooth and nail to get jobs," said Tower, who, in addition to her regular job as an investment consultant is now Muir Electrical's vice-president. "He's always out there bidding. Some nights he's up till one or two in the morning looking at plans to get his price in, to make sure he has hope to get [the] job." Muir and Tower have now added a second electrician and an apprentice to the staff. While the mine was the biggest single employer, the Sussex area has a fairly diverse economy, with several manufacturers and a large J.D. Irving Ltd. sawmill. The community is a hub for a healthy local agricultural sector and a service centre, with hospital, shopping and schools serving a region of more than 25,000. All of this has helped mitigate the impact of the mine closure. The area's central location has also helped. It's about an hour's drive to Moncton, Fredericton or Saint John and there are people willing to make those commutes daily. The community's transition has also been eased by expansions at some of its existing companies. 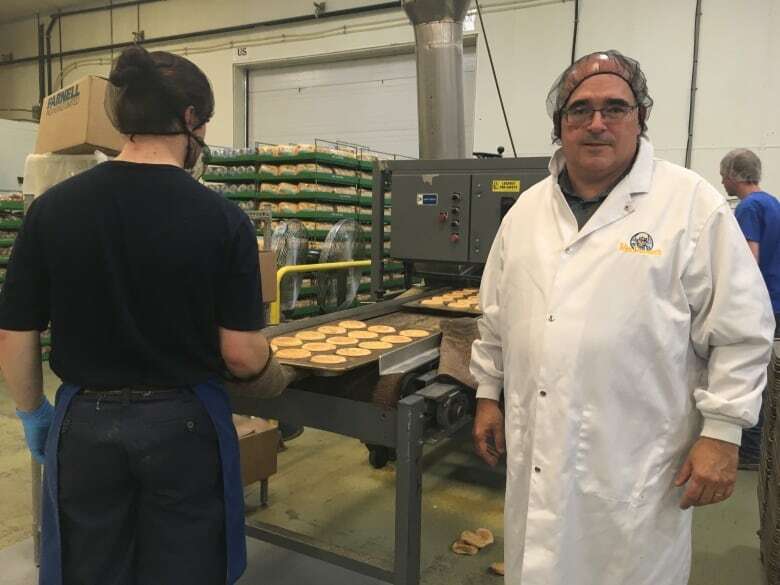 Blair Hyslop co-owns Mrs. Dunster's, a bakery and distribution business that serves 600 grocery stores in the Maritimes and Maine. His company has grown by 50 per cent over the past year. He now has 80 people working in the community and credits a pool of employees with an excellent work ethic. "You give me somebody who grew up on a farm as an employee and you won't find anybody who works harder than that," Hyslop said. "The best employee is a 40 or 50-year-old person who grew up working on mom and dad's farm and understands how to put in a good day's work. "As an employer those people are invaluable and we have an abundance of those people in Sussex. So I think that gives a lot of us here in Sussex a competitive advantage over some other markets. People aren't afraid to work." Sussex Mayor Marc Thorne said construction starts are up this year. Things are starting to turn around, he said, though it will likely take a couple of years to get "back to where we'd like to be." "Certainly on the streets of Sussex on any given day you'd never know that anything happened. It's a very busy little town. And that's not to say that we don't know that there are people, there are families, that are still suffering from the mine closure." While it is too soon to talk of a recovery, Bill Thompson, the region's economic development co-ordinator, said there is reason for optimism. "It was a strong economy before the mines came and it will be a strong economy if the mines aren't operating," he said. 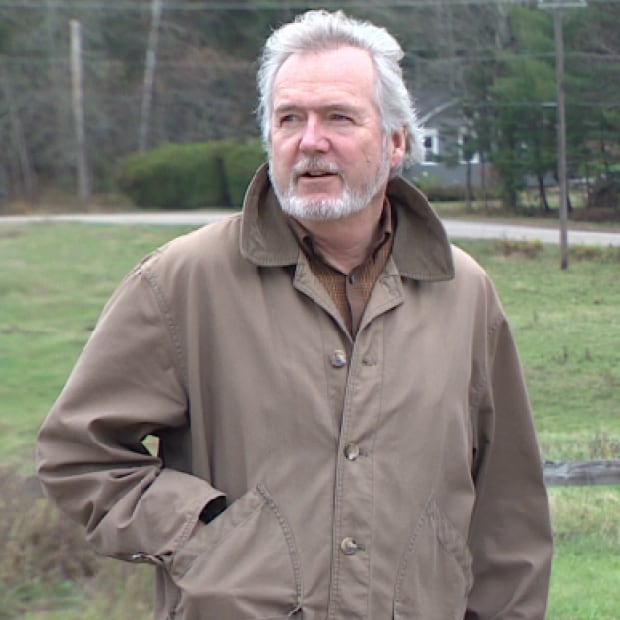 Thompson pointed to a feasibility study showing the proposal to turn the former mine into a source of geothermal energy warrants a closer look. The mine, a kilometre deep and extending underground a for seven kilometres, contains millions of cubic metres of salt brine water. The plan is to pump the water to the surface, where it could be used to heat greenhouses, cannabis-growing operations and other industries. Energy could also be extracted from the brine to cool food-storage facilities. "So we're sitting there thinking we've got this big reservoir, warm water that has no other use to it, that we could extract and discharge back into the [ground] to reheat through the rock formation that could prove a very, very beneficial clean technology, alternate energy source for industrial use," said Thompson. After being brought to the surface, the brine would be returned to the mine. Further study is needed to determine how quickly the water can return to temperature after it is placed back underground. And there may already be an "anchor tenant' for the geothermal project. Sitting smack dab on top of the old mine is Avon Valley Floral, a wholesale business with about 1.6 hectares of greenhouses. The company employs 40 people during the winter-spring growing season. Avon Valley burns hardwood logs almost 2½ metres long to create steam to heat the greenhouses. It's labour intensive and costly. "Cheap energy is cheap energy and we would certainly like to be moving towards that type of a heat source," said Kevin White, the company's president and CEO. "For us, we certainly have market potential to expand our facilities. And low-cost energy would make a big difference." White commended civic leaders in the Sussex area for pursuing the geothermal option. It is not something a company of Avon Valley's size could take on alone. Local companies that got a lot of their business through the mine have scrambled to find new customers. That proved a surprise boost to Erika de Winter's career. De Winter was finishing off her marketing degree at Acadia University when she got a call from an uncle. Allantra Leasing, a Sussex Corner company that builds construction trailers and modular buildings, needed a marketing department. Would she set it up? She did, and a second one at another local family business, Amsterdam Inns and Suites. "There's definitely an opportunity for marketing in the Sussex area," de Winter said. "I have all sorts of people contacting me for marketing consulting, to do new websites or photography or [asking] what can they do for branding and getting the brand consistency." Erika de Winter was able to launch her career in Sussex as a marketing consultant, despite the closure of the potash mine. (CBC)Before the closure of the mine, de Winter planned to head to Western Canada for job experience, but now her career is fully launched. Nearly forgotten on the back burner is the possibility the mine could some day reopen. After all, potash prices could recover in a few years and there is enough of the stuff underground to last decades. Operations at the $2.2 billion mine, which hadn't been going long before it was closed, are technically only "suspended." PotashCorp, now rebranded as Nutrien, even keeps a crew of 30 or more working full time on the site to maintain it. But the 25-year-old marketing professional and others aren't factoring that prospect into their plans. "Those are now in the past and we can't stay in the past forever," de Winter said. "I think we need to stay positive and look to growth. I think there are a lot of great opportunities.